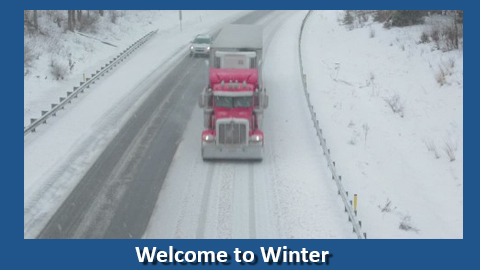 With the cold winter season fast approaching, it’s time again to make sure your truck repairs and maintenance plans are getting your customers ready for the harsh winter weather. Check out these seven major truck components you do not want to miss. Tires: Let’s start with a visible inspection of the tires. First and foremost, make sure the tread is plentiful and the rubber is not cracked or checked. Also, it is important to verify that the date codes are not past the recommended time limits. If these conditions are not met, replace any of the old or damaged tires. 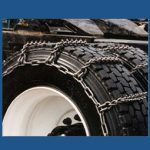 And because the winter can bring a great deal of snow, make sure you inspect the tire chains for the proper condition and fitment. Brakes: Next on the checklist is to inspect the complete brake system, whether air or a hydraulic system. This includes taking a look at all rubber hoses for cracks or checks and pad or lining condition (be sure there is plenty of material left). 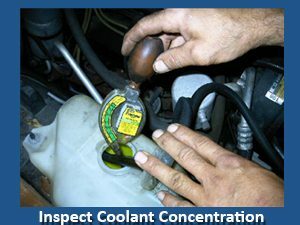 Also inspect for any visual or audible leaks and check ALL remaining brake system components for any wear, leaks or damage. HVAC and Cooling Systems: Visually inspect these systems for cracks in all the rubber components, like the cooling and A/C pressure hoses and all of the belts. Also, inspect the engine cooling hoses for flexibility and suppleness, and replace any hoses found to be hard or inflexible. 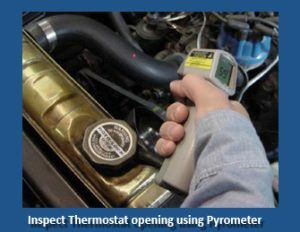 Follow that up by inspecting the radiator for signs of leakage (corrosion, drip marks, etc.) and make sure the thermostat opens at the specified temperature. Engine Fuel System: Inspect the fuel filters for dirt or contaminants, and the fuel rubber hoses and DEF components if so equipped. Ensure proper fuel additives necessary to keep fuel from emulsifying or gelling up, which causes poor operation of the engine. Windshield Washers: Ensure the washer tank, pump, hoses and nozzles are operating correctly and that the washer fluid is full of the proper solution. Safety & First Aid Kit: Accidents happen, so make sure your truck has all the necessary safety equipment like flares, jumper cables, flashlights, a tool kit, water and a well-stocked first aid kit. If they do not, this is a great time to get those items and be prepared for any winter emergencies.